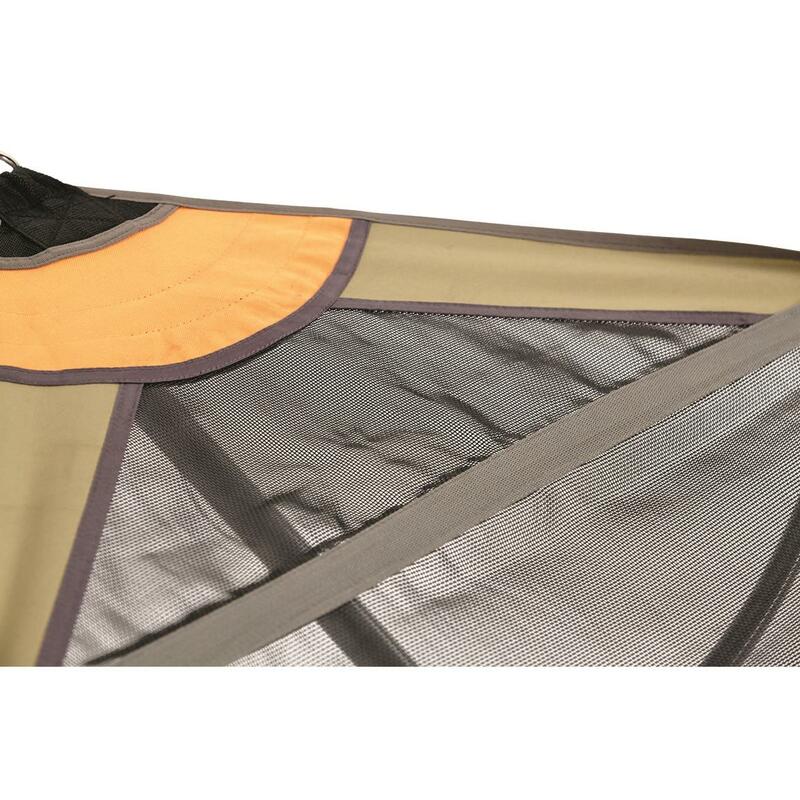 Fold it down, take it with you, and relax wherever you go! 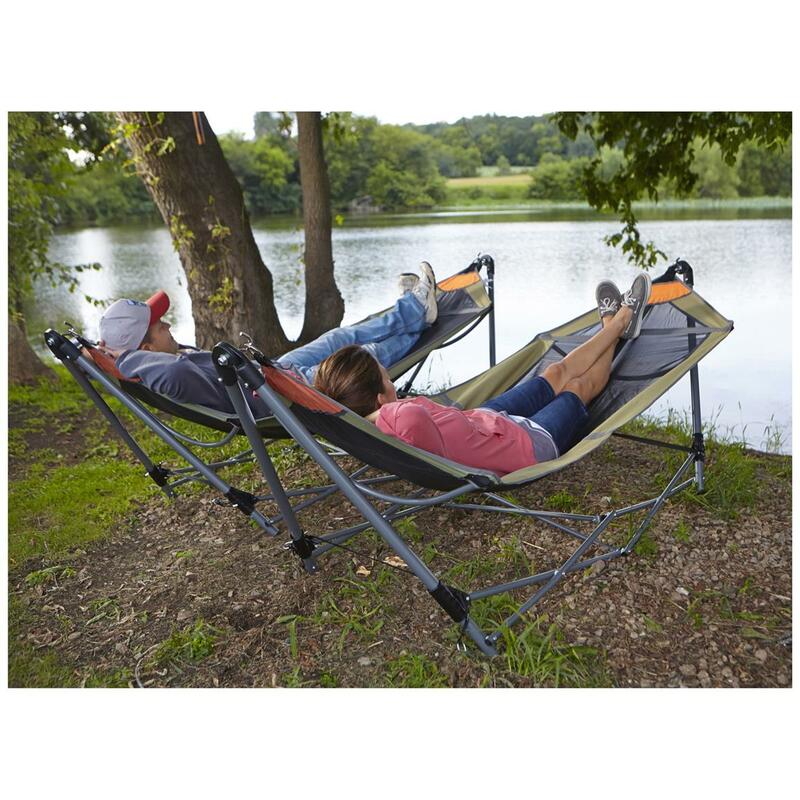 Back in 2009, our Guide Gear® Portable Folding Hammock was one of the original freestanding hammocks introduced to the outdoor market, and it was an overnight sensation! In fact, it's still one of our top-selling items and a perennial customer favorite. It's amazingly well-built, incredibly comfortable and totally portable. 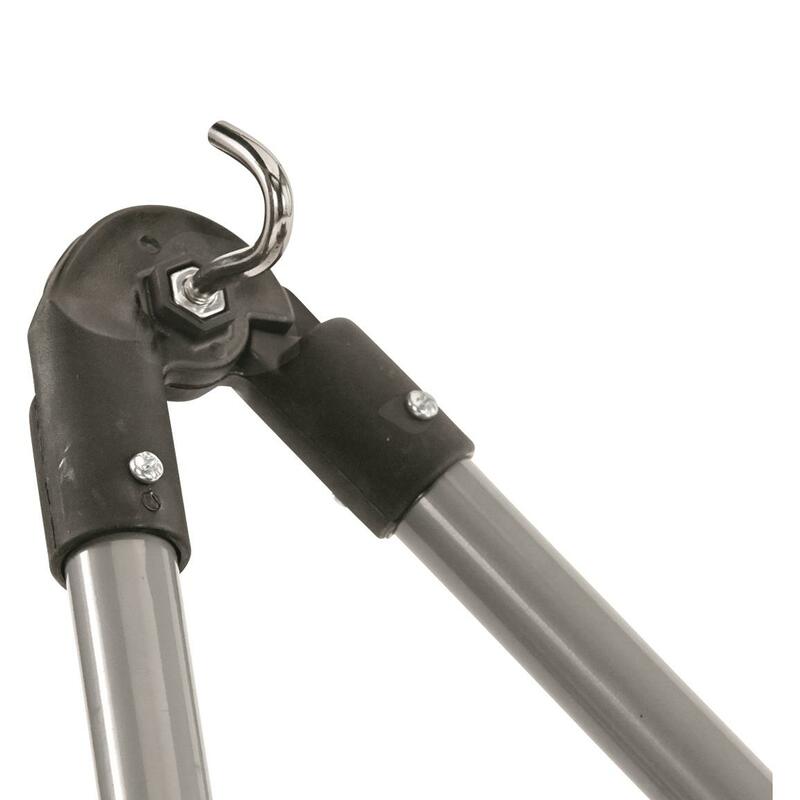 Plus, it sets up in seconds and folds down just as easily. No wonder it's received hundreds of positive customer reviews, earning an overall customer rating of 4.4 of 5 stars. 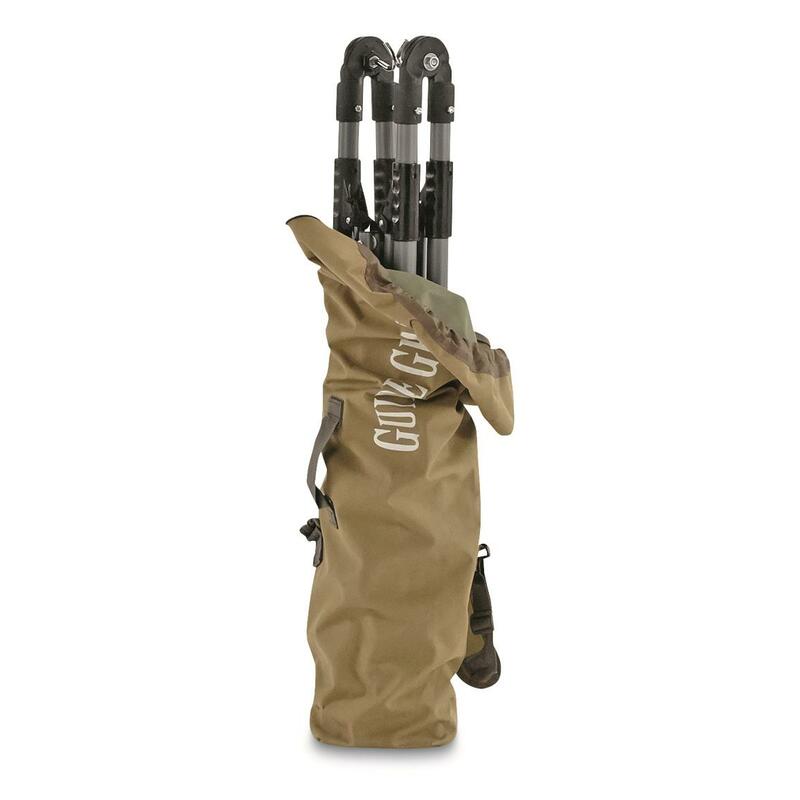 Sure, there are plenty of copy-cat versions of our winning design, yet none of them measure up to the quality and value of our Guide Gear® version. Have you encountered that setting where hanging a hammock just can't be done? Maybe your relaxation destination doesn't have trees perfectly spaced at 20-ft. apart. Or there are no trees at all. Think camp site. Back yard. Patio. Beach. Or, that all-day music venue where you're sitting miserably on the ground for hours. All perfect places for our Portable Hammock. 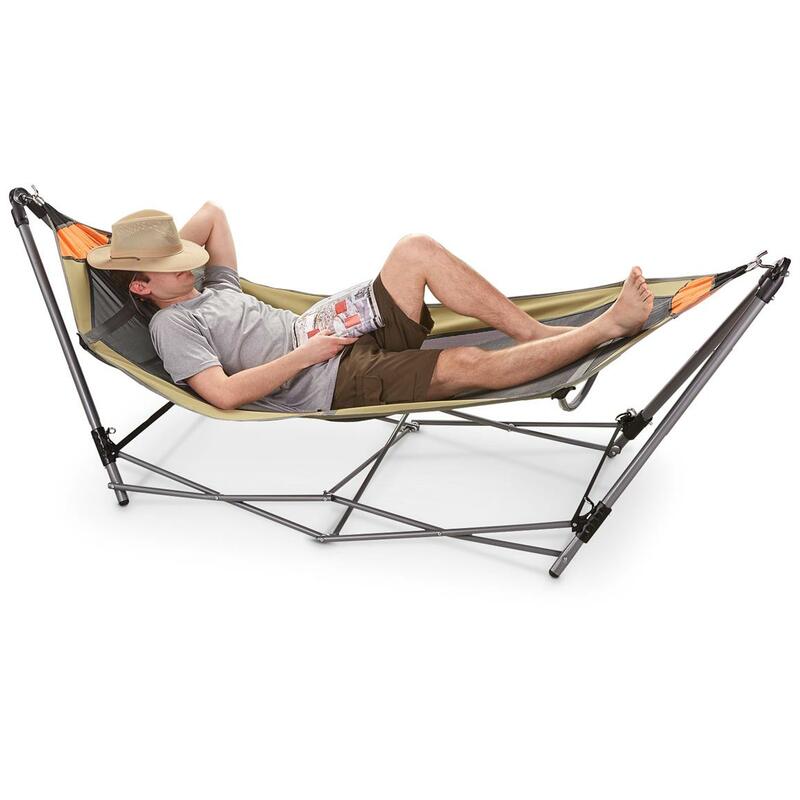 Plus, this Hammock is more than just an outdoors thing…it's great for in-home, too. Set it up in your 4-season porch, your daughter's dorm room, even your living room or basement. 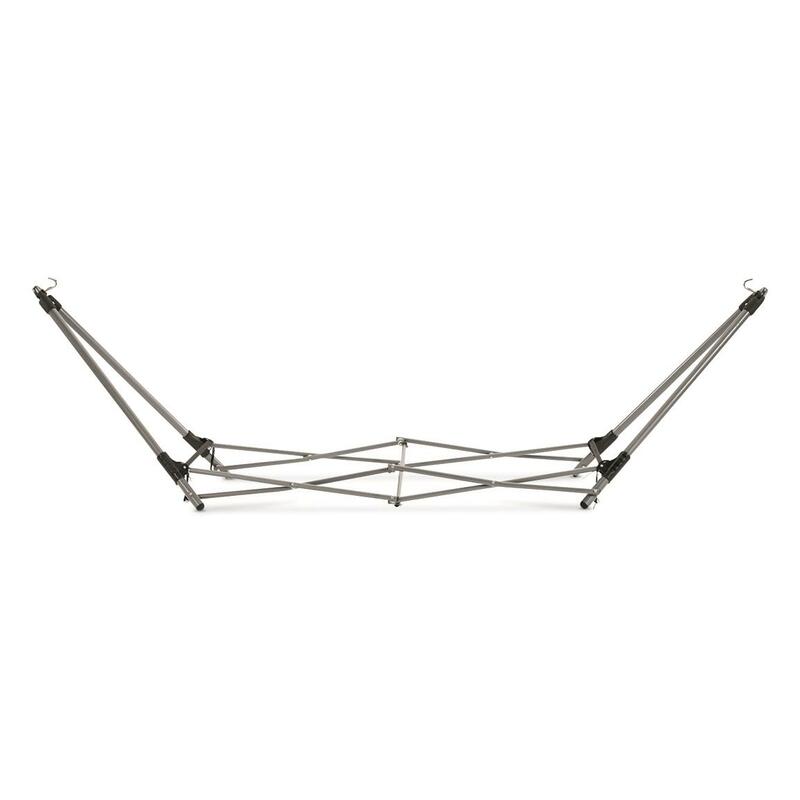 Set up is fast and easy: Simply unfold the frame, insert the pins into the legs, hook the hammock onto the frame and start relaxing! When you're ready to go, fold it up, throw it inside the backpack-style bag, and you're on your way. 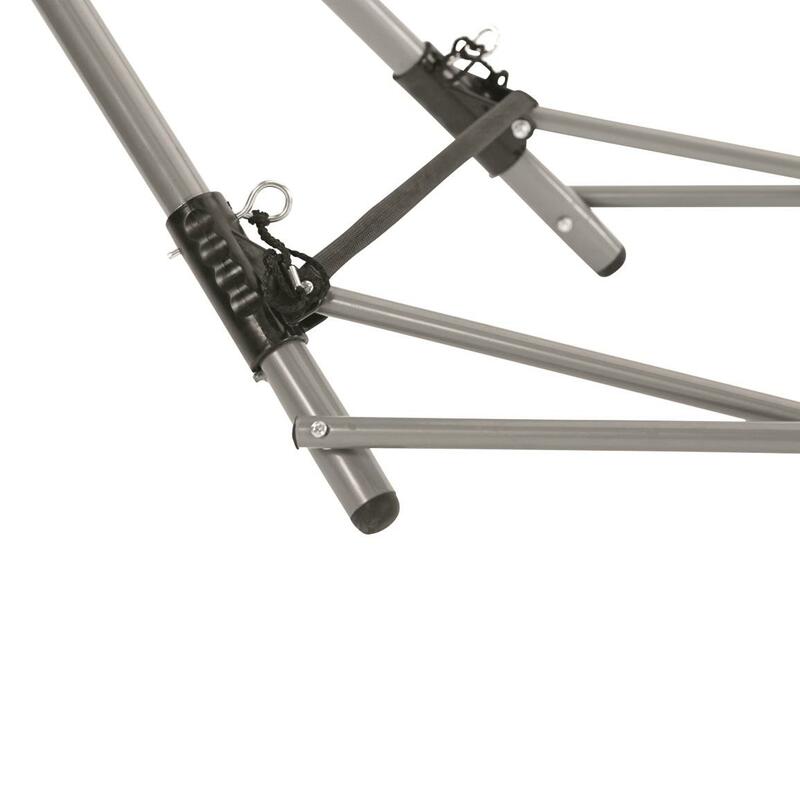 Quality for any piece of camp gear or outdoor furniture starts with a solid foundation. 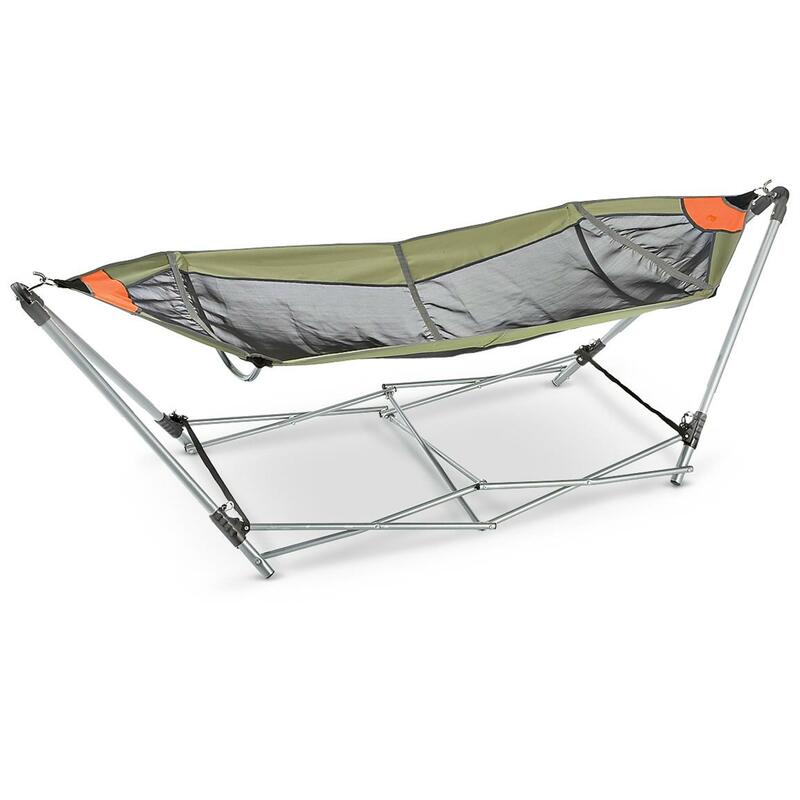 That's why we built our Portable Hammock with an ultra-strong steel frame that's sure to last for years. 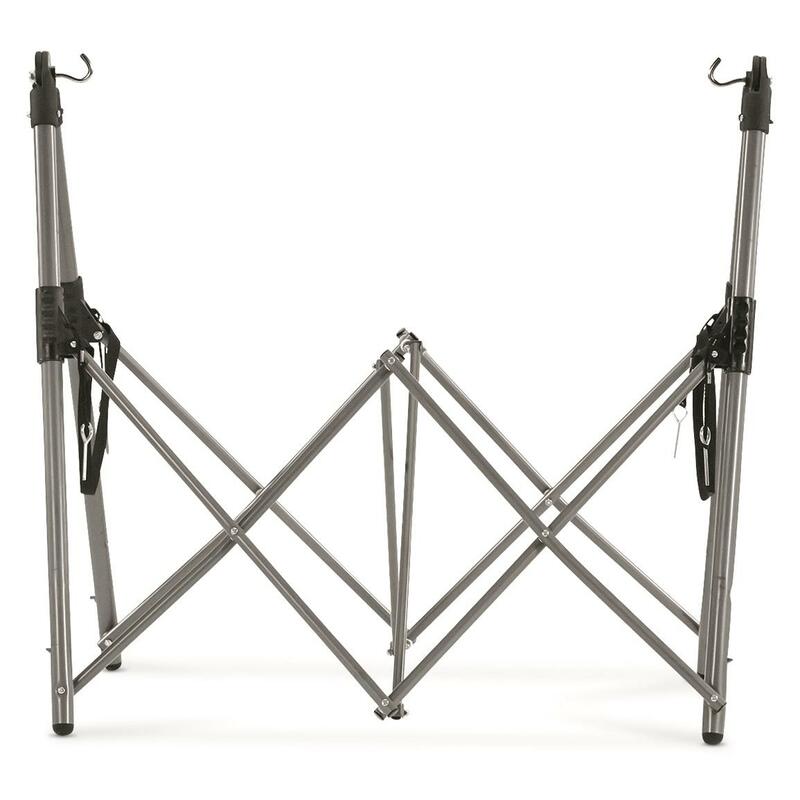 Each leg features a locking pin that guarantees stability, and accordion-style design allows for easy set-up, take-down and space-saving storage. The durable 600-denier sling includes heavy-duty grommets and end hooks, plus a mesh fabric bottom that keeps you cool and comfortable... the perfect recipe for an afternoon patio snooze. Measures 7'10"l. x 32"w. x 27"h.
Relaxing has never been easier. Get your Portable Hammock today! Packed Dimensions: 42.5" x 7.25" x 9"
Open Dimensions: 7'10"l. x 32"w. x 27"h.